I finished the blocks I was chaining through last week. Here is what my pineapple quilt is looking like so far. It measures 48" x 60". I'd like to make it a little bigger. So I've started 10 more blocks. That should make a good sized throw at 60" x 72". I might even make it through all those cut strips. Never though that would happen. In addition to making my scrappy pineapples I finished quilting Rhythm and Blues. I was hoping to show it finished last Friday. But between shopping with DD and visiting my grandma I ran out of time and it wasn't quite finished. Still needs the binding. It will happen soon and hopefully I can show it this Friday instead. In the mean time link up and show me your progress. I'm looking forward to seeing everyone's holiday sewing. Your pineapple blocks have such a fresh and upbeat look. Such scrappy goodness! 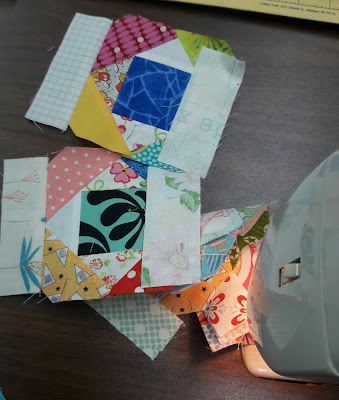 I love pineapple block quilts but have yet to make one. 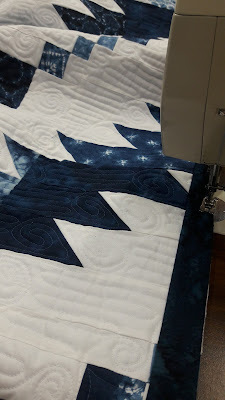 Your Rhythm and Blues quilt is a delightful teaser. I will be happy to see it finished soon. I love pineapple blocks! Your quilt is wonderful! I really like this one. So much scrappy goodness! Those pineapple blocks are wonderful! 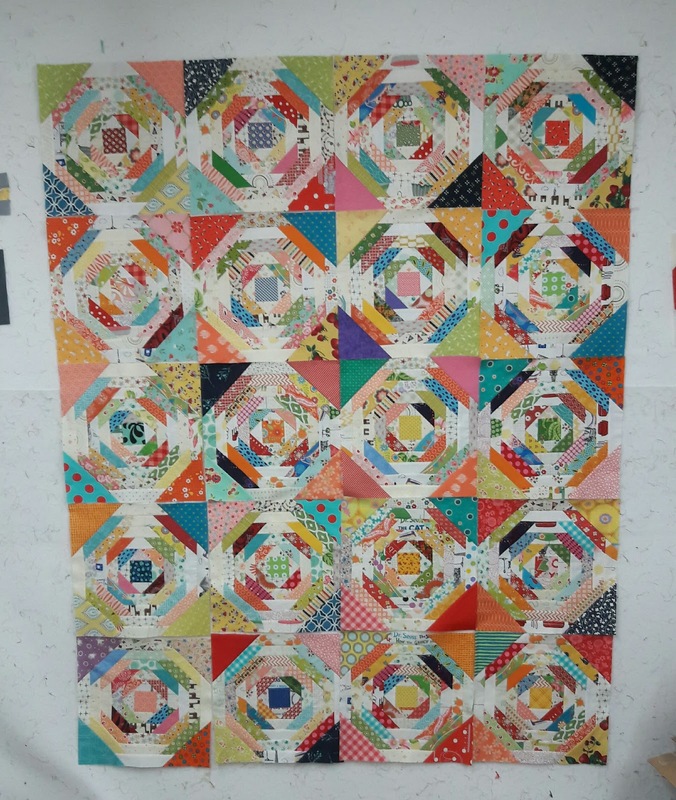 Wow, that quilt top looks stunning!